The highest honor a member of the NSATA can receive is induction into the NSATA Hall of Fame. The NSATA invites eligible and deserving athletic trainers as well as persons from other healthcare professions, education, business, etc. to make application for this prestigious honor and be recognized for their contributions to the profession of athletic training. Must have been a practicing athletic trainer in the State of Nebraska for at least ten (10) years. Must have been a member of the NSATA for at least eighty (80) percent of the years of service in Nebraska. Must have been licensed in Nebraska. Must have a clean professional record. Any objective evidence (criminal record, evidence of disciplinary action, etc.) to suggest otherwise, will result in disqualification. 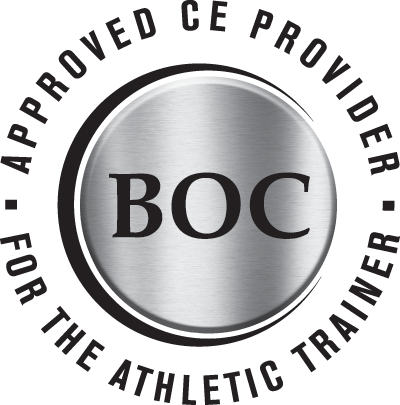 Must have demonstrable contributions to the profession of athletic training. This involves, but not limited to the following: volunteer service, speaker at symposiums, writing of legislation, hiring and promotion of athletic training, etc. An employee (i.e. administrator, staff athletic trainer, coach, etc.) from nominee’s place of employment, emphasizing community and/or job related accomplishments. Two (2) athletic trainers within Nebraska not employed by the nominee’s employer (nominator not eligible). A colleague in their profession. Three (3) athletic trainers within Nebraska. These letters should detail character of the individual and contributions which would make the nominee an appropriate choice for the NSATA Hall of Fame. These must also be received by the Hall of Fame Chair by May 15th so that all information can be sent to the committee members as a whole. Each nominee will be contacted by phone and in writing by the Hall of Fame Chair and sent an application which requests vital information about the nominee. This includes: education, professional certification, career history, resume or curriculum vitae, etc. The nominee’s application must be received by the Hall of Fame Chair by June 15th. The Hall of Fame Chair shall distribute all required materials to each Hall of Fame Committee member by July 15th with a scoring tool and ballot to rank each individual nominee. The complete scoring tool and ballot shall be returned to the Hall of Fame Chair by October 1st. The Hall of Fame Chair will tally the scores and ballots and determine the point totals for the five (5) highest candidates, assuring minimum point requirement is met prior to June 15th. The inductees will be announced at the annual NSATA Summer Education Conference, where a formal ceremony will be hosted by the Hall of Fame and Awards and Nominations Committees for the inductee(s), family, friends, and colleagues. The nominee(s)’ names will be publicized via the following marketing mediums: NSATA, MAATA, and NATA Newsletters; newspapers, news stations, alumni organizations, employers, press releases, NSATA website, etc. of the induction year. Inductees receive an 8” X 10” vertical plaque. The Hall of Fame will be traveling. A 12” X 16” landscape portrait plaque with an autobiography will be made for viewing at all spring and summer business meetings.